THE LOSS OF THE STEAM-SHIP "VILLE DU HAVRE" - OUTWARD BOUND. Publisher : Published by Harper's Weekly. December 20, 1873. The Ville Du Havre, originally named Napoleon III until it underwent reconstruction, was a passenger liner that sailed between France and New York. 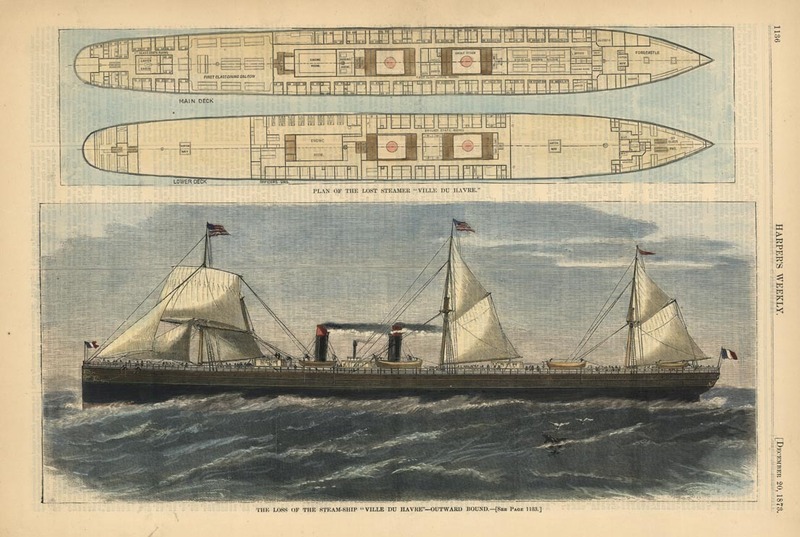 It was put into service in 1866, but on the fateful day of November 22, 1873, the Ville Du Havre collided with the Loch Earn, and sunk within a matter of minutes. More than 200 people lost their lives.